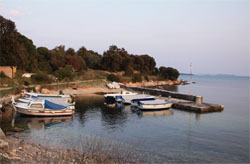 Zalic is the main Silba harbour. 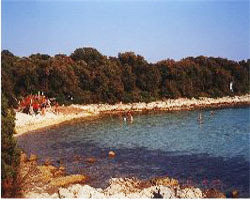 It is situated on the south-west side of the island and is very close to the center. 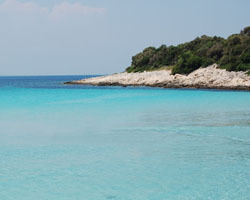 It is really not suitable for swimming since its primary purpose is to be a quay for the big ships, ferrys and catamarans that sail from Zadar, Pula, Mali Losinj. We also have to warn you that it is not possible to anchor private yachts there. If you come to Silba by travel boat, bay Zalic is probably the first thing you will see so take a good look at the pictures to avoid any potential misunderstandings while disembarking the ship. Porat Sv. 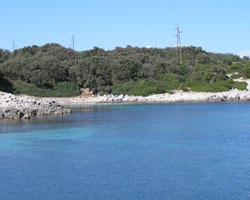 Ante is a bay situated on the south side of the island and is really the only reliable, or better to say, possible place for anchoring private boats on this side of the island. It is not especially attractive for swimming but you can take a look at the little Church of St.Mark which is placed only few meters from the sea. Porat Sv. 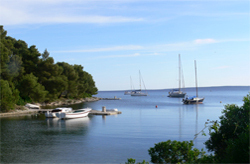 Ante is very safe place to anchoring sailingand motor boats..
Mul is one of the two Silba harbours. It is only 200m away from the center and is placed on the north-east side of the island. 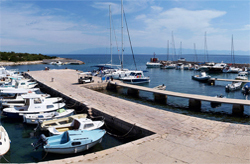 The main difference between Mul and Zalic (the other harbour) is that Mul is primarely used as a quay and shelter for private motor boats and yachts while Zalic is used only by big ships and travel boats. Since Mul is quite small, you can never be sure to find a place there. 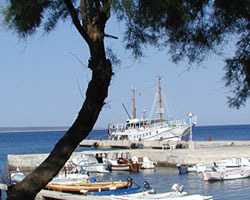 Papranica is a bay with a small pier only 20 minutes away from the city center. It's a nice bay to spend a day in eventhough it doesn't offer many additional contents. It is special due to 10 houses there that have no water or electricity. Papranica can also be used as a short stay shelter in case of a strong wind or storm..